Munckhof has years of experience organizing school trips. School trips and excursions are a common feature in most school programmes. Choosing the right excursion or trip is a challenge that requires a great deal of time and research. Which destination should you choose and what does it have to offer? Munckhof has years of experience organizing school trips and works in close collaboration with amusement parks, zoos, museums, cities and other destinations and activities. This collaboration has given us a purchasing advantage, which directly benefits our clients. Most schools organize their trips and excursions around the same time. As a result, it can be hard to book a coach during peak season. At Munckhof this is not a problem. We work with several tour operators in the Netherlands and can always offer a suitable transport solution whenever and wherever you need it. We are always available, despite the size of your group. 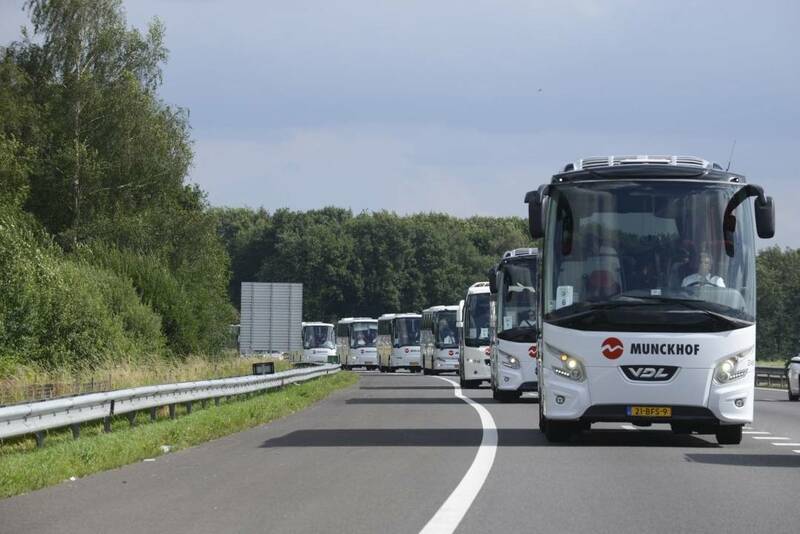 Whether you're travelling with fifty pupils or a thousand, Munckhof will always find the perfect solution. All our vehicles comply with strict requirements. Our fleet is regularly maintained and checked by our in-house Technical Department. Our drivers always check perform a thorough inspection of their vehicles before departure. To ensure the safety of their passengers, all drivers hold a brief safety presentation before they leave. Furthermore, all passengers are required to wear safety belts in the coach. At Munckhof, safety always come first! Our long-term partnership has taught us that we can always count on our requests being carried out to our satisfaction. In recognition of the organized teacher! We are privileged to work with teachers who, in addition to their main tasks, have one extra special task to take care of: organizing the international school trip!